 • Dr. Ruder is affiliated with most hospitals in Beverly Hills and the greater Los Angeles area. Successful facial surgery is a result of a good relationship between a patient and surgeon. Trust and confidence in your surgeon is an important first step of your journey to an excellent result. An excellent result is based on realistic expectations and the medical expertise of your surgeon that develops in the consulting stages before surgery. Dr. Ruder provides the highest quality of care and confidentiality to his patients. Please feel free to browse this website. Also feel free to contact Dr. Ruder’s office at 310-285-9612 or by clicking on the Contact link above. Dr. Ruder is also an expert on ear reconstructive surgery. His Institute of Ear Reconstruction focuses on the latest, cutting-edge techniques in ear reconstructive surgery. The Institute specializes in the patients dealing with microtia or dysplastic ear conditions and has pioneered many ways to correct these severe abnormalities. The Institute has also pioneered non-surgical molding techniques for infants and incisionless otoplasty methods for minor conditions. From the toughest cases to making cosmetic enhancements, the Institute can be relied on to provide the best treatment in the world. 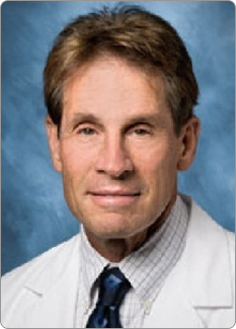 Dr. Ruder has authored many books and articles on a variety of subjects. Check out his publications. Dr. Jeffrey Jumaily of The Beverly Hills Advanced Facial Surgery Institute in Beverly Hills, California, is a facial plastic and reconstructive surgeon with expertise in cosmetic and reconstructive surgery. He studied medicine at Boston University School of Medicine. During medical school, Dr. Jumaily fell in love with the art and science of surgery. After medical school he pursued residency training in Head and Neck Surgery in Boston, Massachusetts, which included work at Boston Medical Center, Boston Children’s Hospital, Lahey Clinic and Boston VA Medical Center. Throughout his training in head and neck surgery Dr. Jumaily worked with nationally and internationally renowned facial plastic surgeons to treat adults and children for various conditions requiring reconstructive and cosmetic surgery. Under the guidance of mentors such as Dr. Jeffrey Spiegel, a passion for facial plastic surgery grew. 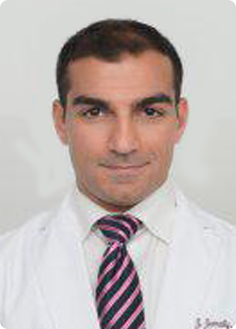 Dr. Jumaily continued his training with a prestigious subspecialty fellowship with the American Academy of Facial Plastic and Reconstructive Surgery (AAFPRS) at the University of Toronto where he worked with internationally known surgeons, including Dr. David Ellis and Dr. Jamil Asaria at FACE Cosmetic Surgery in Toronto. Dr. Jumaily strives to contribute to the facial plastic surgery community in order to improve patient outcomes. He has published literature in the field of head and neck surgery and facial plastic surgery. Dr. Jumaily has presented his work at several meetings in North America. Dr. Jumaily was recognized through several awards, including the Spiegel Award in Facial Plastic Surgery and the Conrad Award in Facial Plastic Surgery. Copyright © Robert O. Ruder M.D. 2019 All Rights Reserved.